Progressive and unorthodox candidates for Congress have been racking up major victories in the past few months, sending shockwaves and turning heads in a political arena long-dominated by White Republican men with deep pockets. In Michigan, two Congressional hopefuls could make history in the August 7 primary and November 6 general elections. 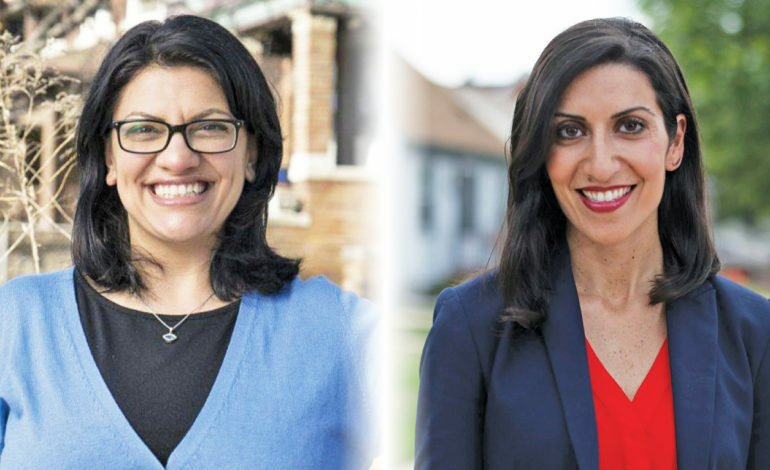 Running in politically distinct districts, Rashida Tlaib and Fayrouz Saad could become the first Arab American and Muslim women in the U.S. House of Representatives. Minnesota Rep. Keith Ellison, a Detroit native, became the first Muslim elected to the chamber in 2007. Ellison and Rep. Andre Carson (D-Indiana) are the only two Muslims currently serving in the U.S. House. While establishment Democrats threaten their success, the women say they can confidently rely on a grassroots movement of voters hungry for reform and a new tone from politicians on issues like immigration and healthcare. Tlaib, a former state representative in Detroit and the daughter of Palestinian immigrants, is running in the 13th District, which includes portions of Detroit and Dearborn Heights, Garden City, Melvindale, Wayne, Westland and Inkster, among other cities. The seat was left open by longstanding U.S. Rep. John Conyers, who retired in December amid sexual harassment allegations. Tlaib grew up in Detroit as the eldest of 14 children. She fought for working families as a public interest lawyer and led a national civil rights campaign against bigotry. She told The AANews she isn’t letting any resident in her district not hear about her, with an aggressive grassroots campaign that’s about direct connection to the communities she intends to serve. Her campaign has raised the most funds of the candidates in the district so far. She said more than 3,200 have donated from contributions as little as $1.33, adding that the gerrymandered district that stretches from one side of Wayne County to another remains a challenge for her. “We haven’t accepted any corporate PAC money and relied on real people supporting our campaign,” Tlaib said. She said less than half of the families in her district own their homes and pointed to the rising costs in health, home and car insurance more households are facing. If elected, Tlaib said she would introduce the Justice for All Civil Rights Act, which would expand on the Civil Rights Act of 1964. Currently, the Act only allows for intentional discrimination, but the new one would allow the showing of impact as evidence of discrimination, she said. As Michigan’s first Muslim legislator, Tlaib added that she’s not worried that her Muslim and Arab identities would get in the way of her chances, and said her history of public service exposes her faith in a positive light and pushes families to fight against stereotypes and hate rhetoric towards the Arab and Muslim American communities. During her tenure in Lansing, Tlaib represented Southwest Detroit’s Sixth District for six years before being term limited in 2014. She earned a b.a. in political science from Wayne State University in 1998 and a law degree from Thomas Cooley Law School in 2004. She lives in Detroit with her two sons. Other Democratic candidates include State Senator Ian Conyers (D-Detroit), State Senator Coleman Young II (D-Detroit), Westland Mayor Bill Wild, Detroit City Council President Brenda Jones and former State Rep. Shanelle Jackson. The daughter of Lebanese immigrants and former director of Detroit’s Office of Immigrant Affairs, Saad told The AANews she like her chances, given her focus on fighting for “progressive solutions” is what’s made her “people-powered” campaign popular. Running in the 11th Congressional District, which includes Birmingham, Bloomfield Hills, Troy, Novi, Livonia and Plymouth, among other cities, Saad said wherever she goes in her district, people are “hungry for real change” and seek new faces. The seat is currently held by U.S. Rep. Dave Trott (R-Birmingham), who is known for his anti-immigrant stance and is set to retire from Congress and return to the private sector in January. While more than half of the district voted for Trott in 2014 and again in 2016, his retirement has opened doors for more candidates of both parties to throw their hats in the ring. Saad said her campaign has raised more than $600,000 from mostly small dollar donors. This week, she received the endorsement of the Progressive Caucus of the Michigan Democratic Party, in addition to the national progressive groups like Justice Democrats. Saad blamed the status quo of stagnation and callousness in government against the working class on a Republican-majority Congress not willing to move on issues and President Trump’s policies, and pledged to work against them. Her campaign stresses the need for better healthcare, wage and family leave policies that support working families, ending the epidemics of opioid addiction and gun violence and a “fair and compassionate” immigration system. She said that as an Arab American Muslim woman, she is especially attuned to the importance for minority communities to have a voice at the table when major decisions are being made. Saad shared Tlaib’s sentiment that it will take more than progressives’ enthusiasm to turn Michigan “blue” again, stressing that success requires constant engagement, donations, volunteering, organizing and — most importantly – voting. Other candidates for the seat include State Rep. Tim Greimel (D-Auburn Hills), Haley Stevens, former chief of staff of then-President Obama’s Auto Task Force, Suneel Gupta and Nancy Skinner. Saad’s most recent work in public service began in 2015 when Detroit Mayor Mike Duggan appointed her as the city’s first director of immigrant affairs. She recently ended her appointment to prepare for her run. In 2009, she was appointment by President Obama to the Department of Homeland Security’s Office of Intergovernmental Affairs. There, she worked as a liaison between the immigrant population and the government and worked on issues regarding cybersecurity, national security and law enforcement. She earned undergraduate degrees in political science and psychology from the University of Michigan in 2004 and a master’s degree in public administration from Harvard University’s John F. Kennedy School of Government in 2015. 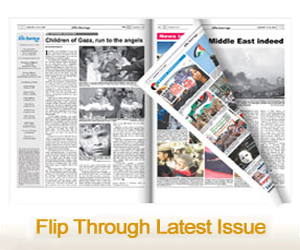 Previous article Once the fireworks of Independence Day fade, how independent are we?